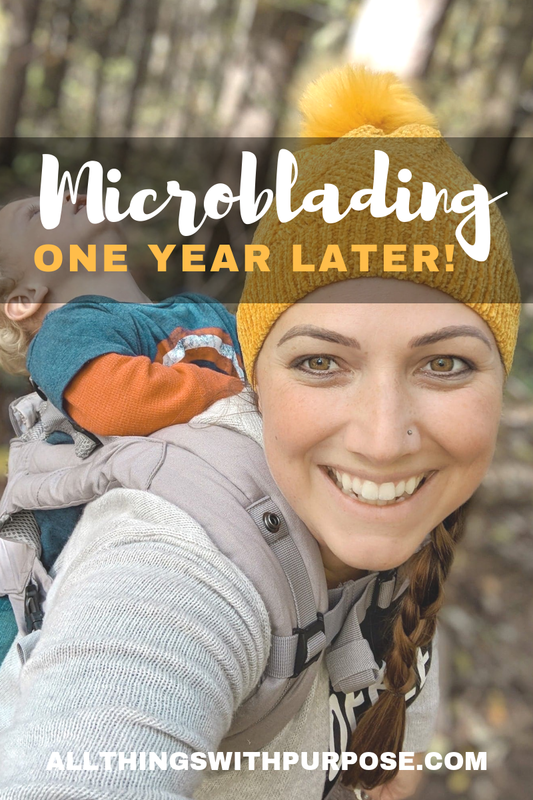 I am excited to (FINALLY) share all the details about my microblading experience! Perhaps you’ve heard the term before and are intrigued as I was. Maybe you’ve been researching the topic, but don’t know how to find a trustworthy technician or you’re lacking the nerve to go through with it. Let me tell you, I absolutely love my results and wish I had done it a long time ago! I have tried to include a LOT of pictures in this post. There are lots of side-by-sides to help you see the difference and I’ve tried to include as much info as I can think to write. 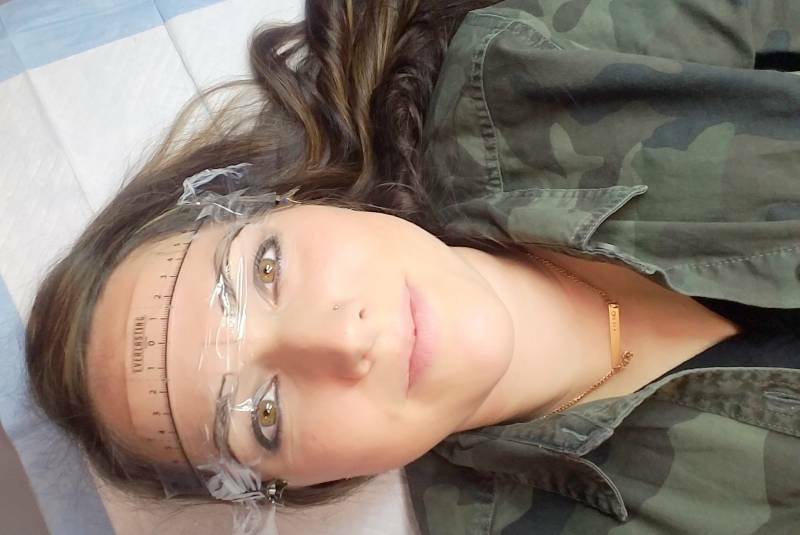 I connected with a local microblading technician that gave me a great price in exchange for writing this review, but all opinions are completely unbiased and totally my own. As you can see, my brows were in pretty bad shape. I’ve always had rather thin eyebrows, and they have always been different shapes from each other. I have over-plucked them for years, always attempting to make them match somehow. A little from here, a little from there… you know the story. 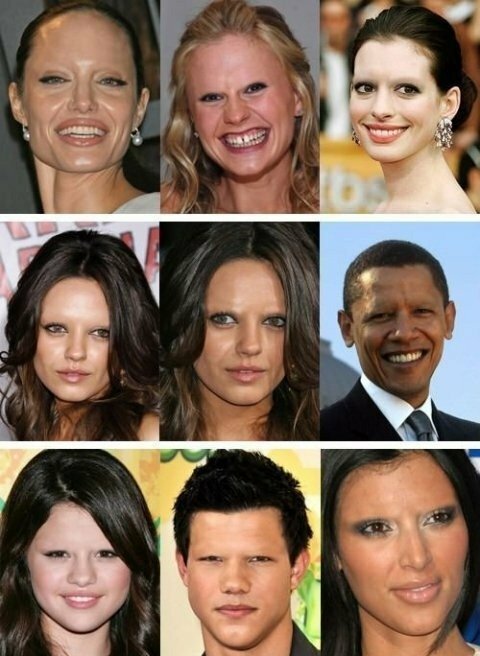 I don’t need to tell you how important eyebrows are, but just in case your’re on the fence, here are some pictures of celebrities WITHOUT eyebrows. You’re welcome. A. Microblading is a form of cosmetic tattooing, specifically done to enhance the eyebrows. It is done by manually depositing pigment into the first layer of the skin (the epidermis). The artist will use a fine tool with a specific sized blade and pigment color to create tiny, hair-like strokes in between your natural hair. 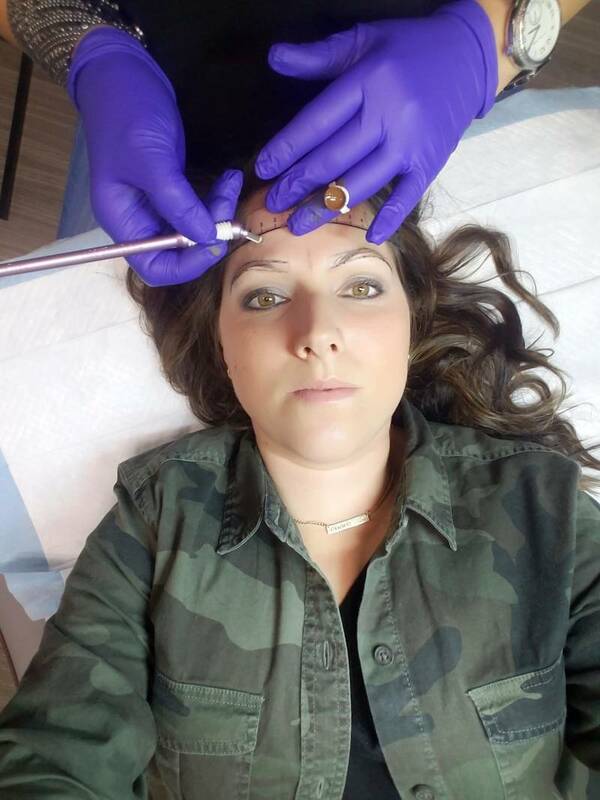 A. Microblading is form of permanent makeup, but unlike tattooed eyebrows that are actually permanent, microblading will fade over time (which is great because, hello! Styles change!). How long it lasts depends on skin type, activity level and lifestyle. A professional swimmer that is in chlorine on a regular basis may have shorter retention, for example. Oily skin will have shorter retention as well. 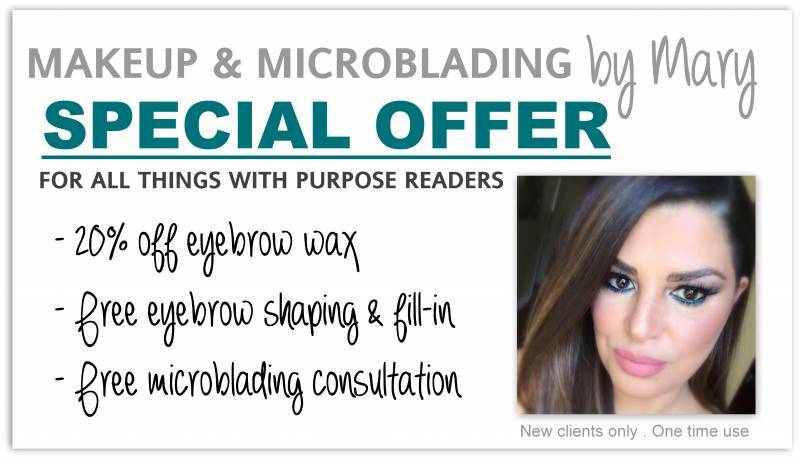 On average, microblading can last anywhere from 1 to 3 years before significant fading happens. A touch-up appointment can be made after a year or so, which will generally be quicker and less expensive than the original appointment. A. Microblading will range based on location and the skill of the technician, and can cost anywhere from $300 to $1,200. Q. How do I Find the Right Technician? A. I highly recommend you go to a reputable salon that has been in business for a while. Ask to see pictures of previous clients. Read reviews. Ask about licensing and certification. Ask about the tools used and if they are new and sealed in their original packages. 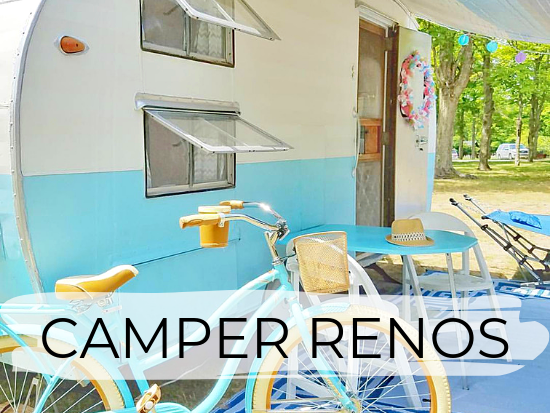 Do they include a followup appointment in the price? What kind of training has the technician had and how long have they been performing microblading? Someone who is new to the industry with no brow shaping experience, reviews or pictures of happy clients should send up a red flag. I had a WONDERFUL experience with Mary at Charisma Salon and Day Spa in Livonia. Charisma has been open since 1972 and Mary has been working there for over 16 years. 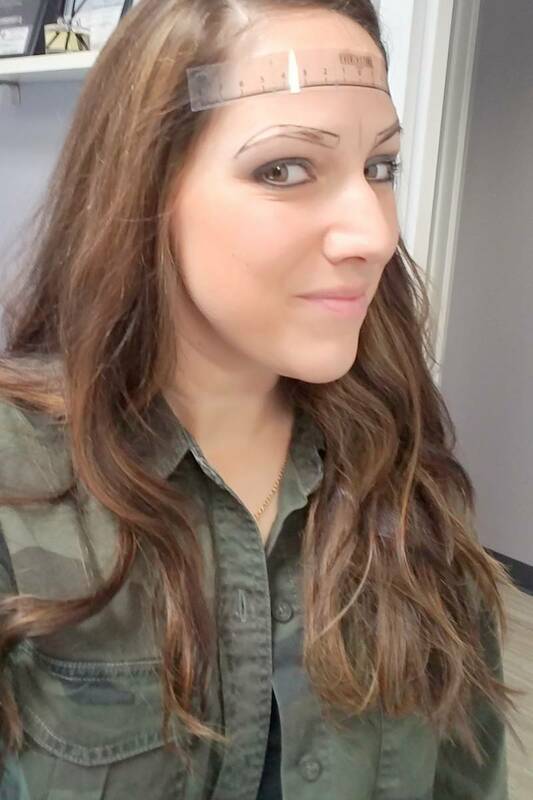 Because she started as a makeup artist and has been waxing and shaping eyebrows for so long, I 100% trusted her with the shape and color of my brows. I shared some of my fears and concerns, but ultimately left her to make the decision on the shape of the arch and color to use. 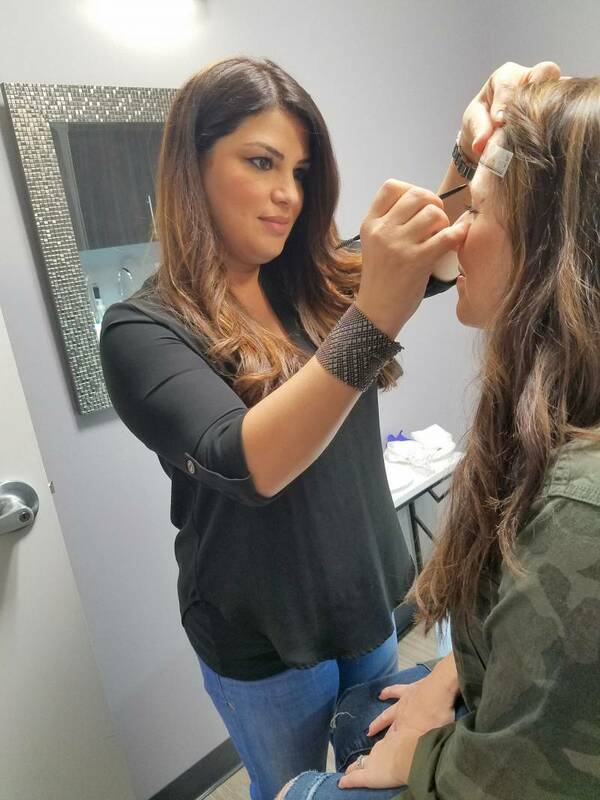 Microblading is a relatively new industry in general, which is why it is so important to go with someone who has experience with brow shaping and waxing. Mary is very meticulous and clean. 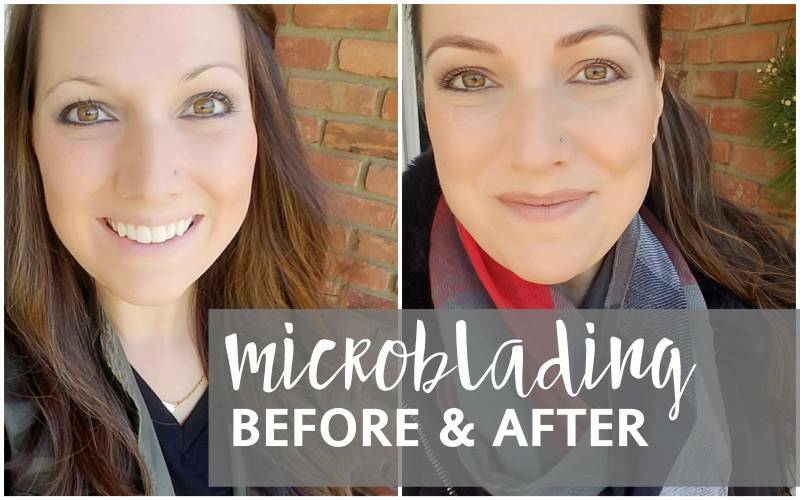 She does an awesome job of explaining the process and preparing you for your microblading session. She talks you through everything and sends you away with all the instructions for your followup care. She takes pride in her attention to detail every step of the way, including how close she follows safety procedures and proper technique. Q. What is the Healing Process Like? A. 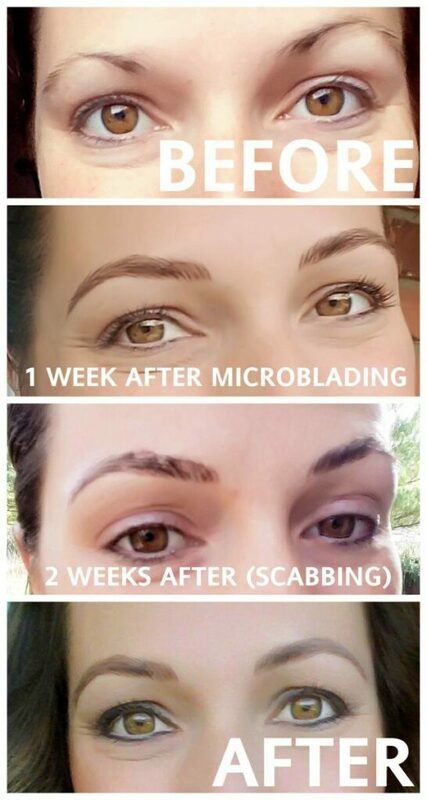 There are several stages of healing that you go through after having microblading done. I was very fearful that I would be embarrassed to go out in public afterwards, but I was pleasantly surprised. Obviously, everyone will react and heal differently. For me, my brows started out very dark with just a little redness. We left for a camping trip immediately after my appointment so I figured it would be easy to hide and not shower. I applied a protective ointment in the morning and at night for the first couple weeks. After a few days of not showering, I was careful to shower without getting my face wet. I carefully washed my face with a washcloth, working around my eyebrows. 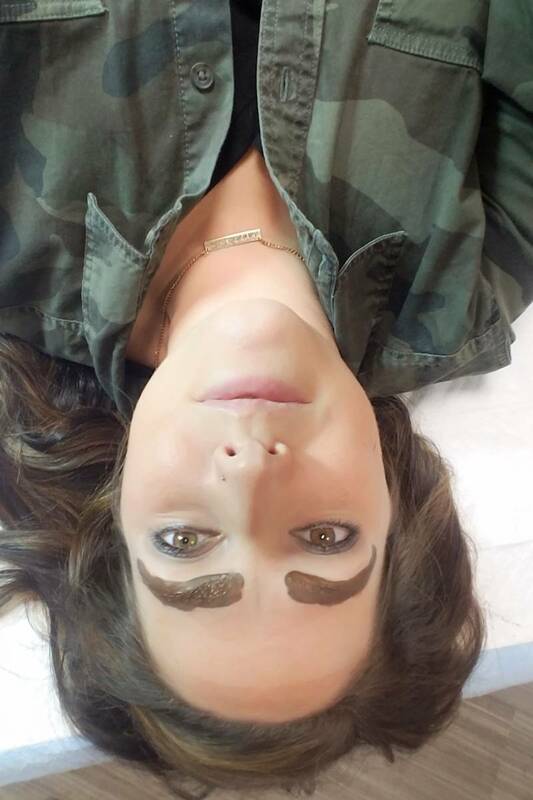 UPDATE: Mary is always careful to stay up to date on the latest Microblading techniques and tips. Experts now recommend gently but firmly wiping your brows with gauze 3-4 times the day of your Microblading appointment. 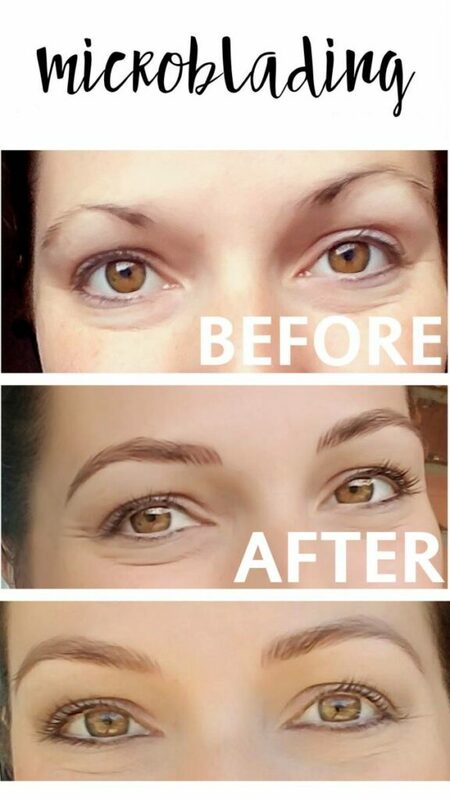 They no longer stress the importance of keeping your brows dry for the first several days, and that a little bit of water will not hurt them as long as you don’t get them drenched. I followed this new step when I returned for a ONE YEAR TOUCH-UP and had little to no scabbing during the healing phase! Some people have reported feeling itchy and tight afterward, but mine felt good. I didn’t start to feel tightness until about 2 weeks in. Around the 2 week mark I could feel my brows scabbing up and starting to flake off. Even during this part, it wasn’t so bad that I couldn’t go out in public. As your brows heal, the color will fade slightly and then darken again, but never as dark as they were the first few days. The lines will be very crisp and pronounced at the beginning, and will soften with time. You may also notice that your brows will appear extra wide at first, but as they heal, they will tighten and shrink just a tad. 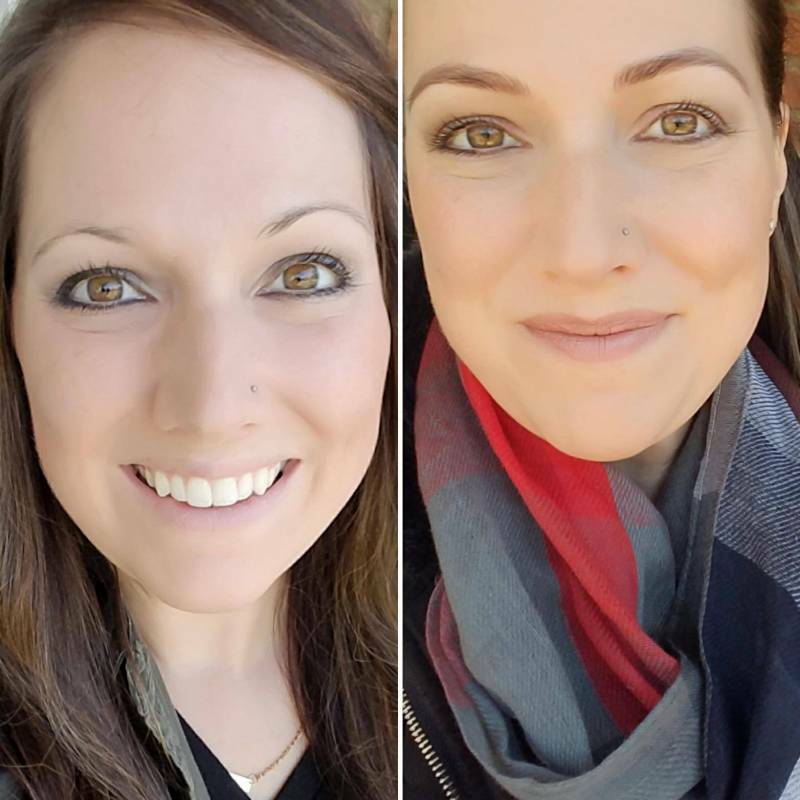 Between 4 to 6 weeks after the initial microblading, Mary schedules a touch-up appointment. I went back to fine tune little details. After my brows had fully healed the first time, there were a few little spots that I wanted filled. I was nervous to go too dark at first, which is normal. You can always go darker, but you cannot go lighter! Q. 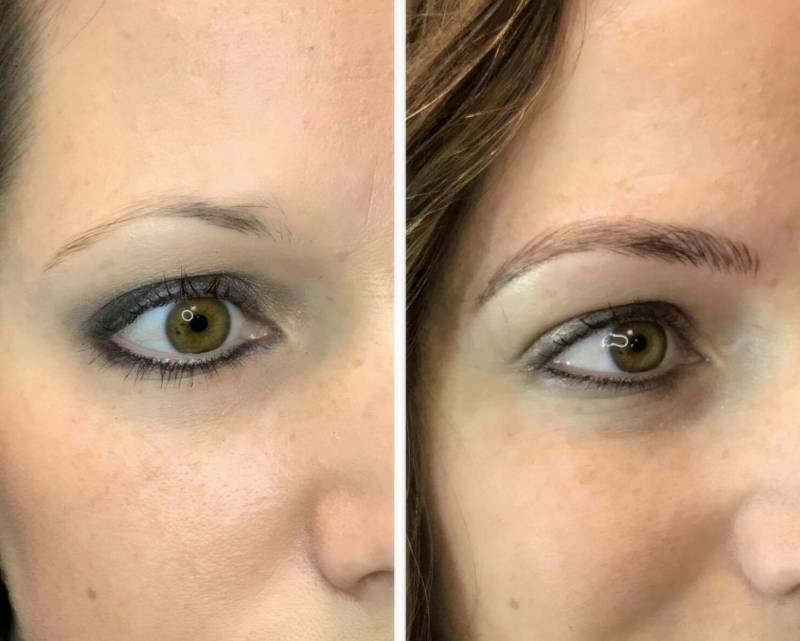 Who Shouldn’t Have Microblading Done? A. 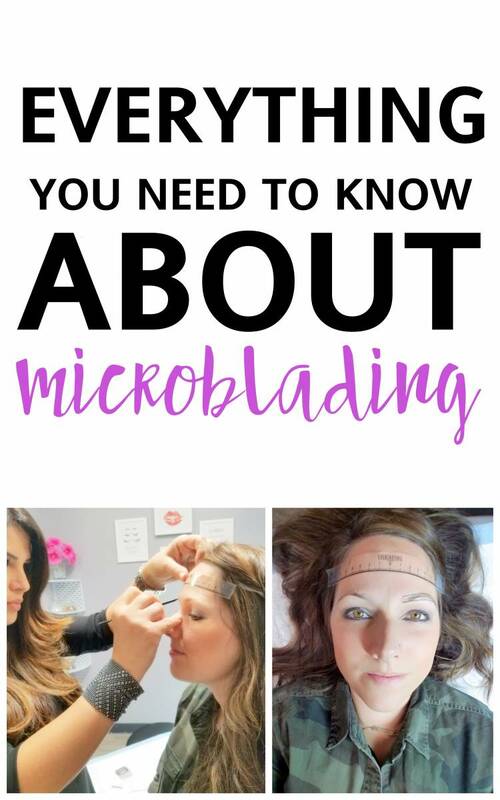 There are a few situations which may rule out microblading for you. 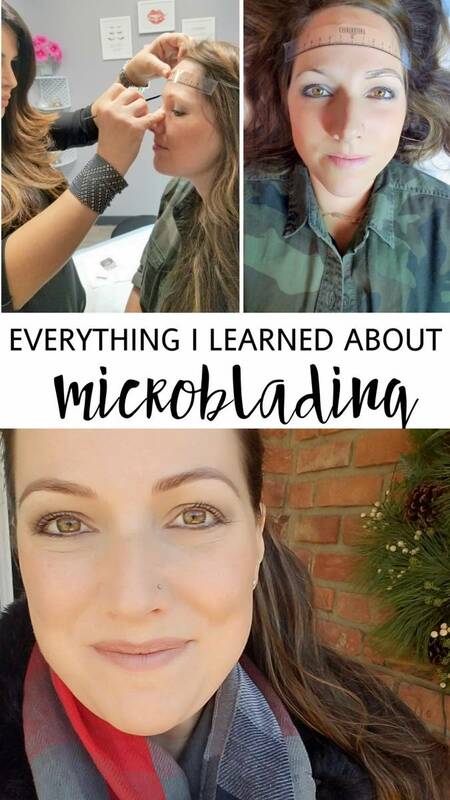 For example, if you have a bleeding disorder or easily bleed, microblading may not be as successful for you. If you have extremely oily skin, microblading will not have good, long-term results. A. Mary used a numbing ointment on my brows before starting the microblading. I didn’t feel anything at first. As the numbing ointment faded, I started feeling a strange, scratching sensation. When it got a little uncomfortable, she reapplied the ointment. Again, this will be different for everyone depending on your pain tolerance! A. 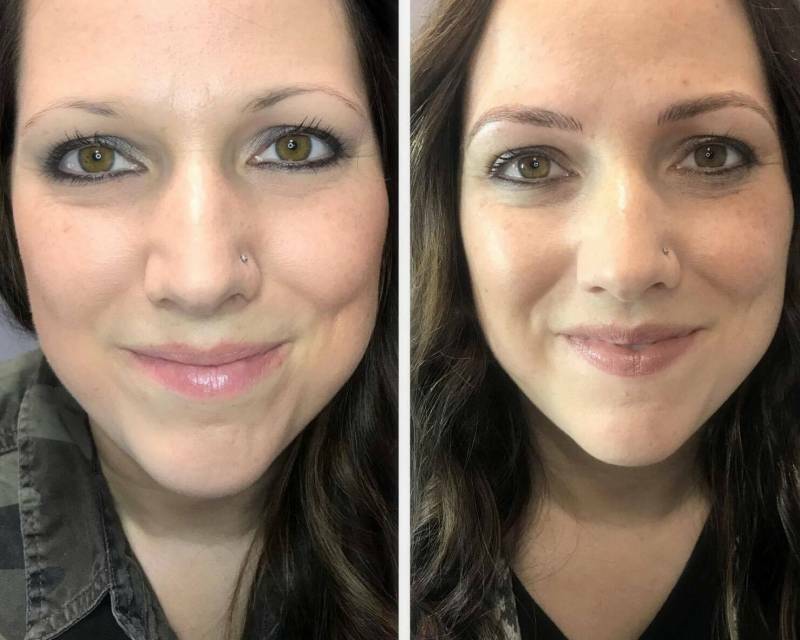 No, microblading does not cause scaring. What will cause scaring is picking or messing with your scabs as they heal. Your technician will explain what to do before coming in for your appointment. I scheduled an eyebrow wax a week before getting microblading done. At that appointment, Mary cleaned up my brows and filled in the shape. I had never had a professional wax done and let me tell you, it was a game changer! I never thought I needed a wax job because my brows are so thin. Mary pointed out that by removing all the little unnecessary hairs, it makes the rest stand out and appear fuller. Mary instructed me not to drink caffeine the day of, not to take any Aspirin or Motrin 48 hours before hand or drink alcohol 48 hours before hand. These are all things that can thin your blood and make you bleed easier. Too much blood makes it hard for the technician to see what she is doing. Talk with your technician about your ideal shape and color. Share your fears and expectations. Mary used the smallest size blade on me because I wanted a soft shape and was afraid of it looking too heavy. She also used one of the smallest templates to base the size on. She used a mixture of two different colors to create the perfect shade that wasn’t too dark. If you are wanting a heavier looking brow, you may be interested in having some permanent shading done on top of the microblading. Ask Mary about shading, which creates more of a solid, powdered brow look. Makeup by Mary Special Offer! Mary is offering a special for all my readers! Call Charisma Salon and book an eyebrow waxing session with Mary. 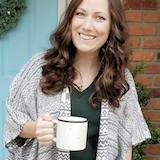 When you arrive at the appointment, tell Mary how you heard about her from my blog and ask for a free microblading consultation. She will answer questions and give you advice on the shape of your brows. 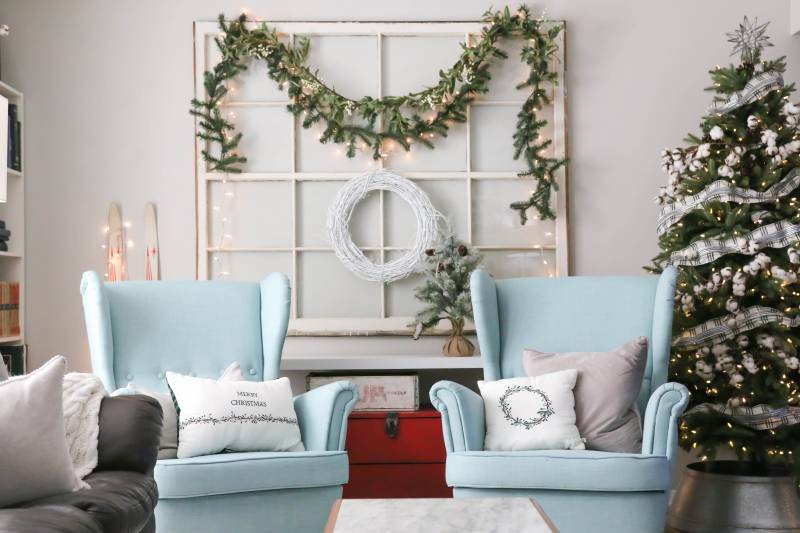 She will shape and fill-in your brows with makeup for free and give you 20% off the waxing service! Call Charisma Salon directly to book any appointments, or send Mary a message on facebook with any specific questions you may have and don’t forget to mention my name! 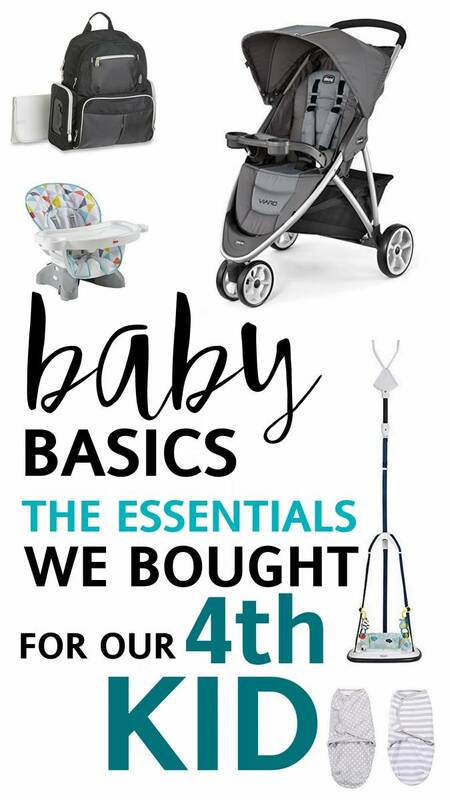 Next Post: Baby Basics: Gear for the 4th Child!